Gardening is a great way to get exercise, to help the environment, and to have your own organic produce. If you have physical disabilities, however, it may be more difficult for you. Or, you may simply want a way to plant that will help your plants grow faster, in more abundance, and healthier. 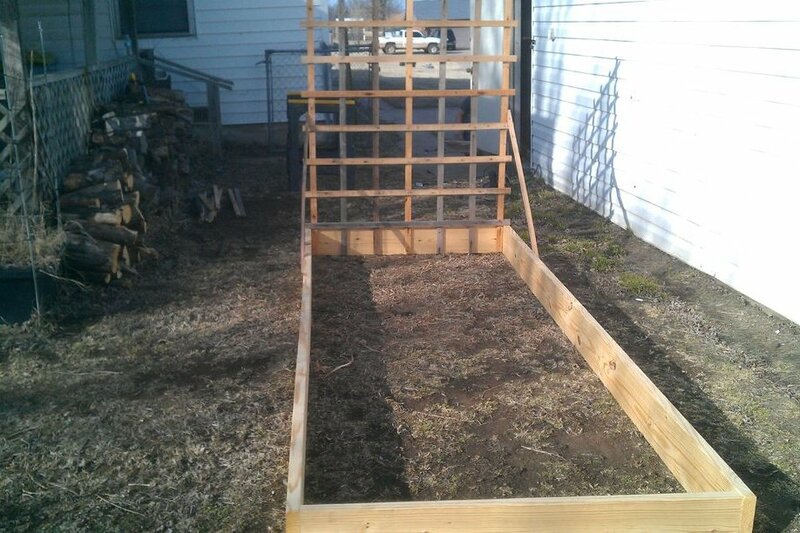 You can, therefore, build your own raised bed garden! Here is a list of ideas you can use to build your own. This is a simplistic design that can be used for most other examples. You will need boards for the frame and horizontal and vertical slats. Screw the slats together and use braces to hold the sides of the frame up. Get soil and seeds and you’re ready to go! This is also an easy choice that involves landscape timbers, stakes, a saw, a tape measure, a power drill, a spade bit, and a carpenter pencil. Cut the timber to the size you want it and drill accordingly. Then use stakes to reinforce it, and now you’re ready for planting. Here is an option that is not only easy, but cheap too; the person who wrote this article said that they spent less than $100 to build eight planters. The people who created this cut food grade barrels in half. They also recommended looking for discounted scraps to save some money. Fitting your garden on your deck is a good choice especially if you live in the city and don’t have a large backyard. Or, if you are someone who can’t get out of the house a lot due to old age or physical disabilities, this will still allow you to have your own plants and to take care of them, too. When making one of these, it is important to realize that wood is bound to rot at some point and will need to be replaced. This example shows you how to fix and prevent rotting. This person used concrete to create corner bases in order to have a more permanent solution. Here is a great way to have a long-lasting garden and to save money in the long-term! 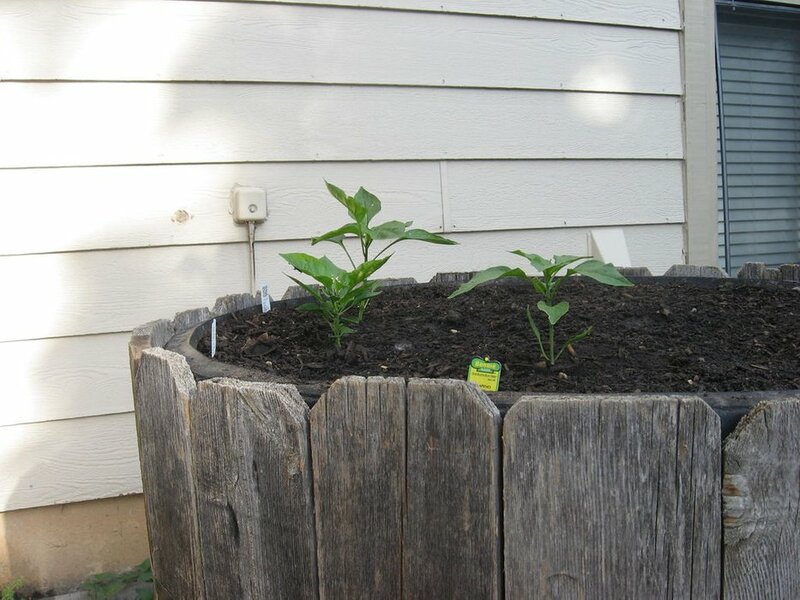 If you don’t have a great watering system, then building a planter with wicking is a great option for you. 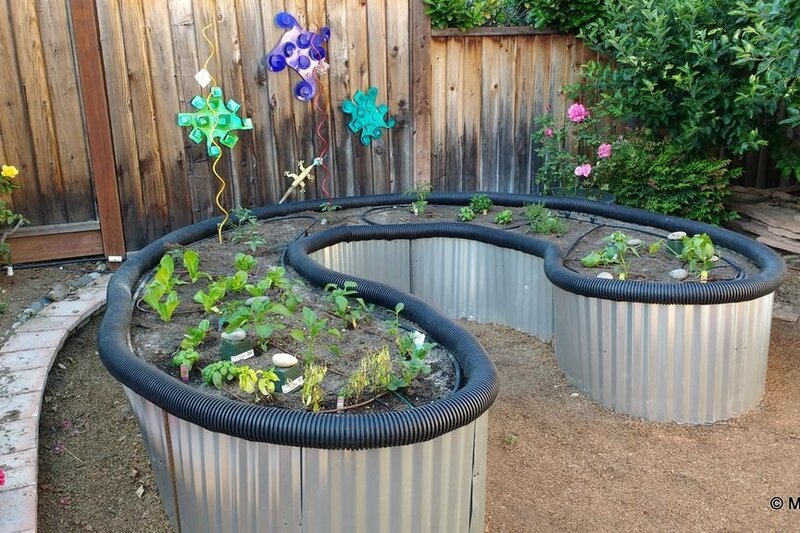 This will allow your plants to be watered from the bottom up, which will allow for your plants to have deeper roots, less water usage, and less evaporation, all of which are great benefits that will not only benefit your plants, but you too. 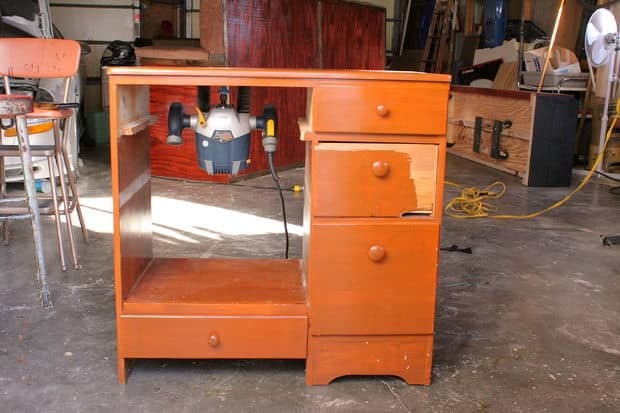 For this example, you will need treated plywood, screws, 2x4s, no more nails adhesive, black plastic, staples, duct tape, a table saw, a screwdriver, a staple gun, and if possible, someone to help you. Choosing to implement this design will allow for more space for you to plant due to the fact that it is in the shape of an octagon. As aforementioned, wicking is a great idea if you do not have great access to water or if you want to limit water usage. The person who came up with this design also made it larger because they are getting older and can’t bend over as well. They also wanted to raise the bed closer to the sun, and included solar lights too. This is a great way to save money because you can find free pallets in a lot of places, such as in industrial areas or warehouses. You can even look on the roads or ask local businesses if they have any they are willing to give up. This example also added a grid in order to divide the plant sections up. 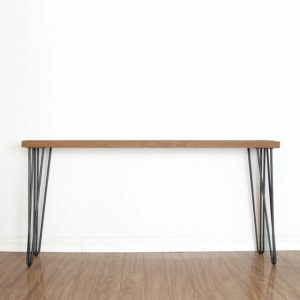 Here is a very simplistic design that only requires wood, a chop saw, a drill, and screws. The author of the article mentioned an important point: since they will only be planting flowers, they chose to use treated wood. However, treated wood is not a good choice if you plant to treat vegetables. Lay it out in the way you want and put it all together with screws. This example is not literally rain-proof. However, it is built high up off the ground, which is not only good for allowing you to not bend over as much and not having to work as hard but, also, it will allow you to not be so worried when it rains a lot because all the rain will drain out of the bottom of the planter. This person left gaps between each board to allow for rain to drain out. Here is an easy and time-friendly option- it only took the author less than three hours to put together. It is also good if you plan to plant vegetables that have deeper roots, such as potatoes or carrots. Wooden panels were used to build the garden, which helped everything to stay together. This example is especially a good one if you are on a tight budget and want to recycle old materials. 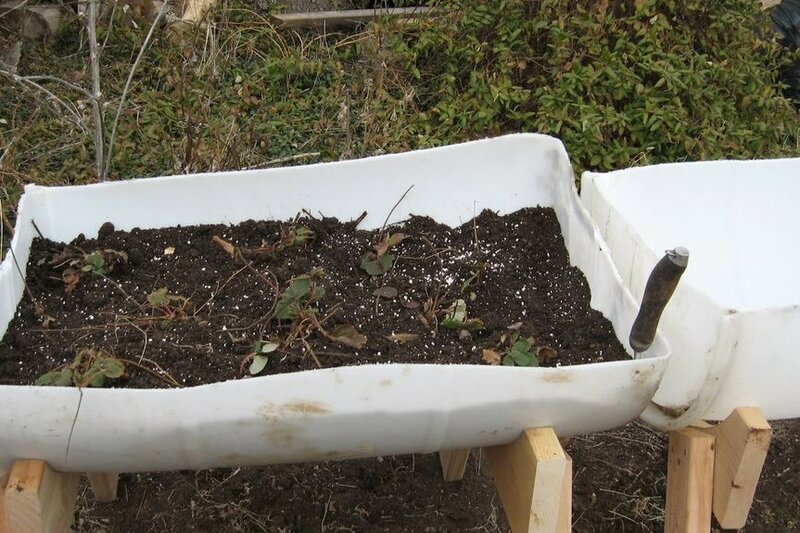 You can use old wood that you have lying around in order to build your own bed garden, which, as we have mentioned before, will end up saving you money on your produce at the end of the day. Most people adore animals, but they aren’t so great here because they will eat your plants. 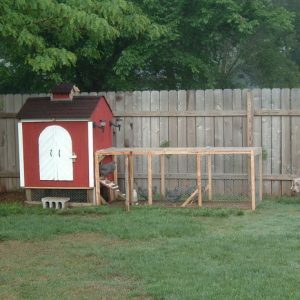 This example included a two-tier garden, support posts, and a fence around the top and bottom in order to keep deer and rabbits out. 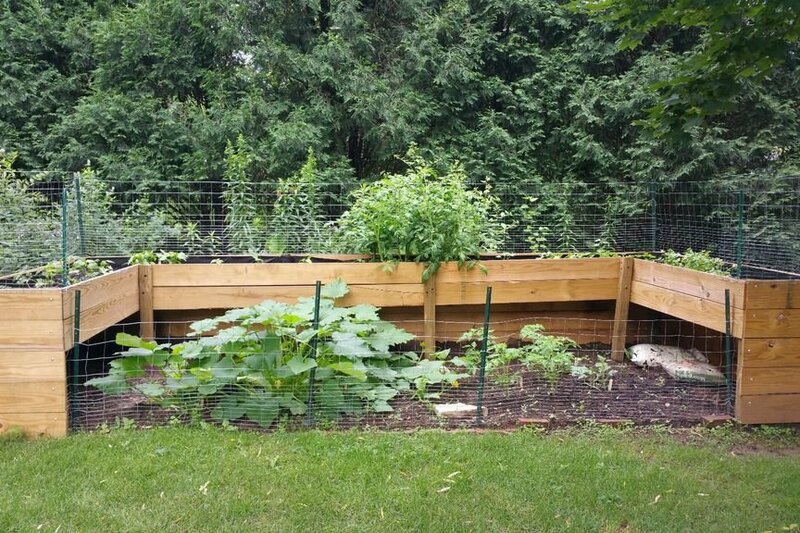 A two-tier garden will allow for more space to plant, and the fence will prevent any critters from eating your food. Ever wonder what to do with old tires? Now you can use them as a material for your own garden! Stack some of the tires on top of each other, and surround them with wood. Plant soil and you can have your own recycled garden – which you also won’t have to bend over too much to take care of! Here is a unique alternative to the other examples on this list. This example did not use wood, but instead corrugated sheet metal, which the author claimed would end up being a much cheaper alternative. This cost approximately $15 per sheet, and the blade to cut the sheets cost around $12. You will also need a planter box and gopher wire. 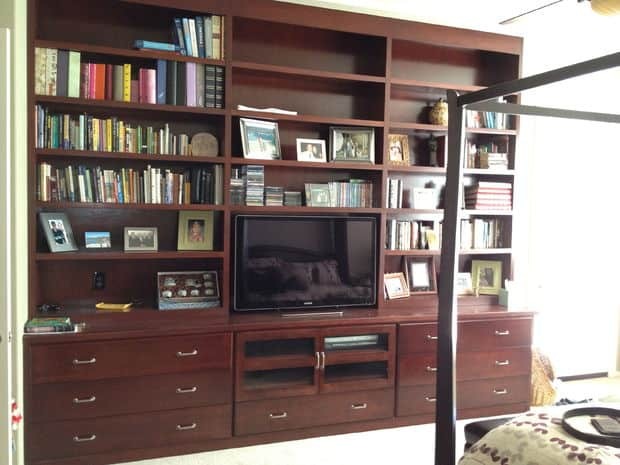 This option can be completed in a day for under $100, using only lumber, screws, casters, a drill, tape measure, a pencil, and a few other materials. It’s perfect for putting on your deck or patio, too. For this example, you’ll need two pallets, measuring tape, around 14-30 wood screws, a drill, screwdriver, hammer, clamps, pliers, a hand saw, black plastic sheeting, a staple gun, staples, and fill dirt. Also be aware because some wood pallets may have toxic chemicals, so look out for that when you choose your materials. 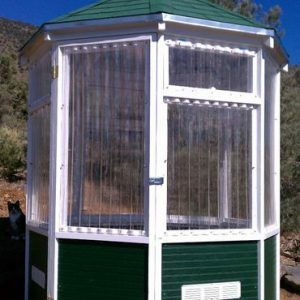 And finally, here is a really tall option that is great for decorating your deck or patio. It was about 30 inches off the ground, and was made out of cedar boards. This is a great option if you don’t have a lot of time to garden or if you are physically unable to do a lot of labor. 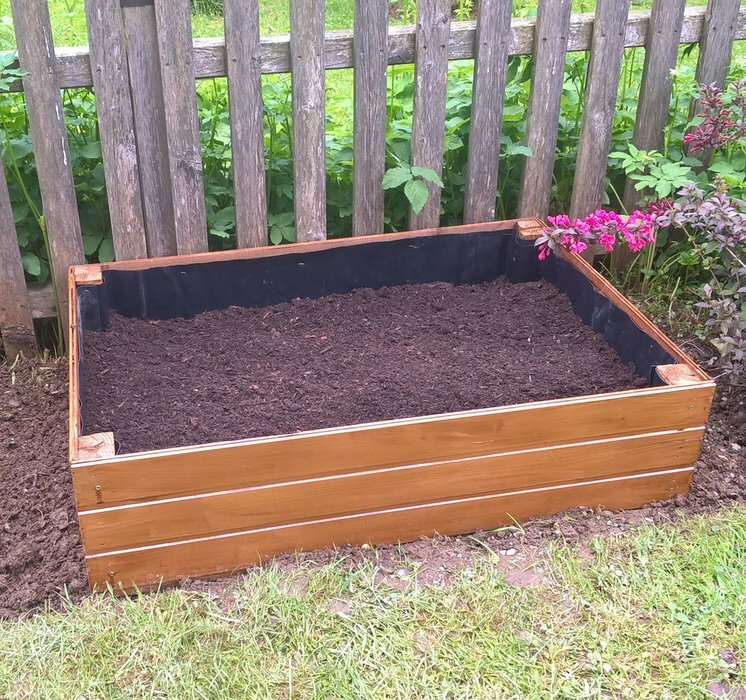 If you’ve been thinking about growing vegetables, a raised garden bed is the perfect way to achieve this without tearing up your existing lawn. Not only do they offer you the ability to easily maintain a brand new vege patch, but they can help you to embark down the path of making your life more self-sustaining. Growing your own food is one easy way to take care of your family’s health whilst doing something good for the environment. 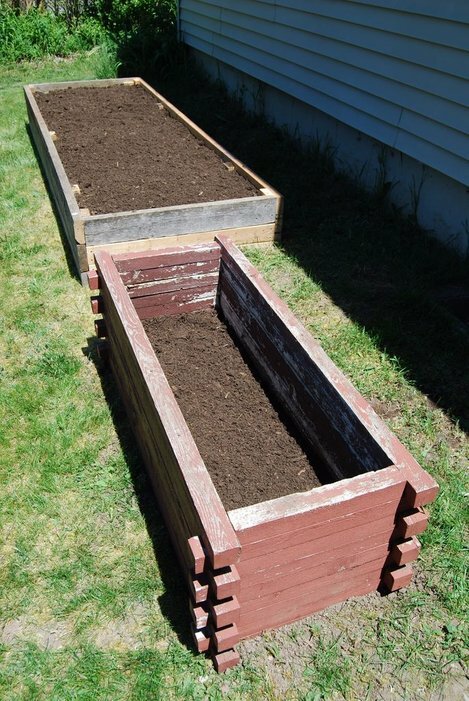 Even if you’re a newbie to gardening in general, this style of garden bed is super easy to maintain. 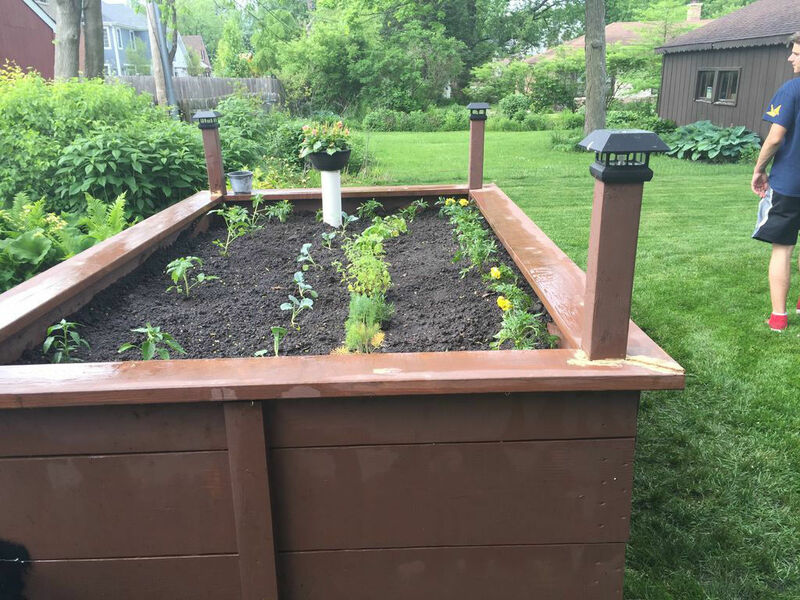 According to Planet Natural, the benefits of keeping a raised garden bed as opposed to the in-ground variety extend from being able to use better soil, to improving access for people who have mobility issues. 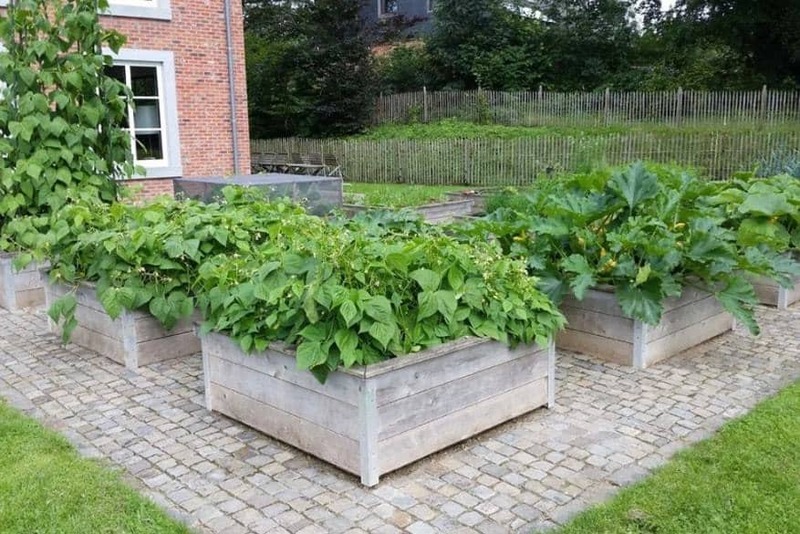 You’ll also find that the drainage from these kinds of garden beds will help to keep your garden thriving with less effort than traditional garden beds. 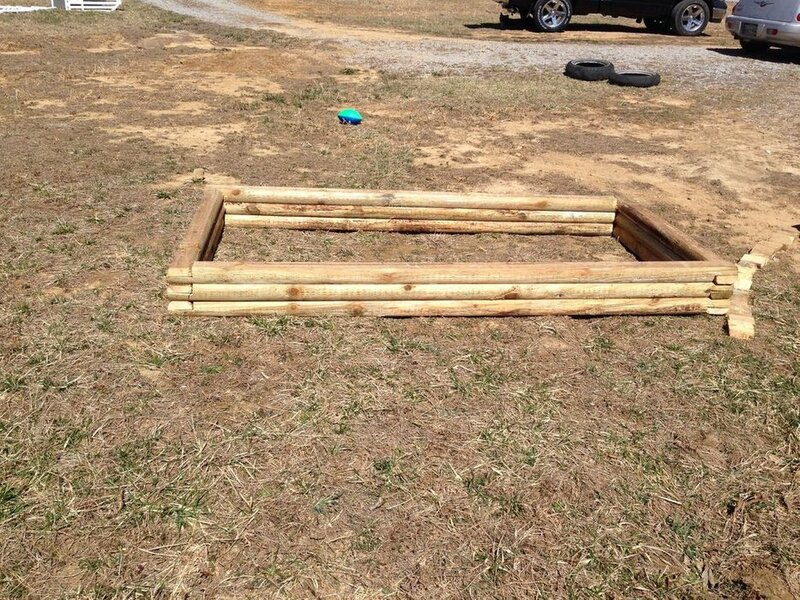 You can purchase a raised garden bed from many places, but you may opt to build one yourself. Even if you aren’t an experienced DIYer, you will find that the skills you need to do this are minimal. 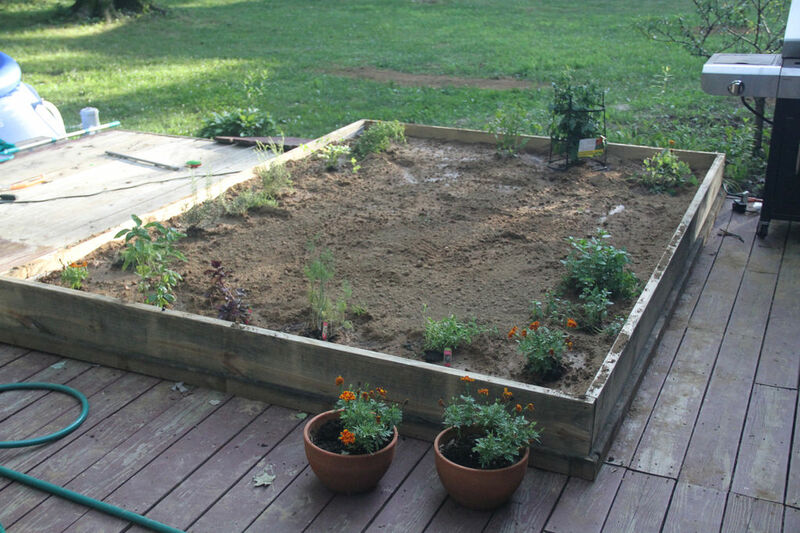 There are many aspects in building your DIY raised garden bed, ranging from where you put it to what you build it from. 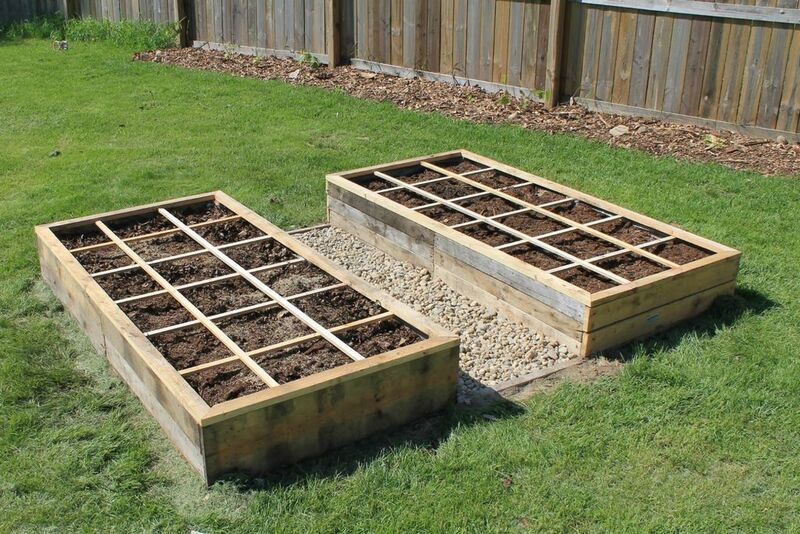 Popular Mechanics offer a detailed guide on how to construct a raised garden bed yourself. Remember to build your garden to a height that allows for a decent amount of soil without being too high, so that your plants have adequate room to grow their roots. By following these simple rules, your garden will be thriving through the seasons for years to come. 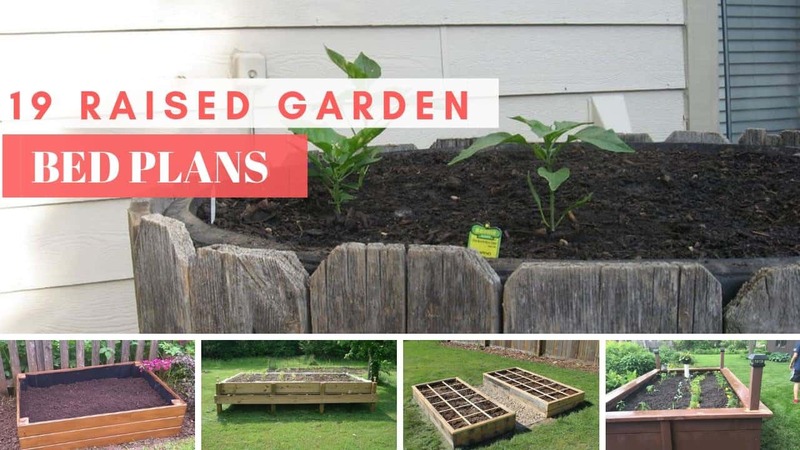 Raised garden beds offer you and your garden a lot of benefits, but you might want to consider installing your garden bed on legs in order to offer yourself more flexibility and utility. 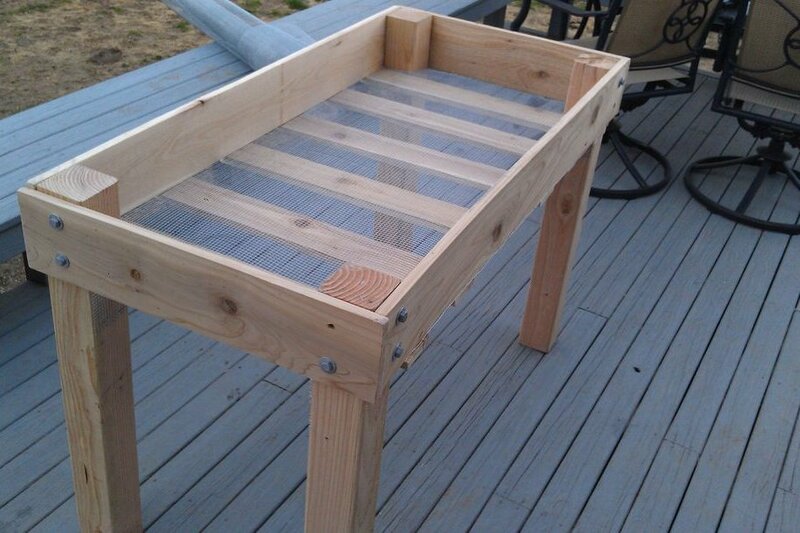 Adding legs to your raised garden bed can give you the opportunity to add shelving to the unit which can allow you to store potted plants that don’t require a lot of light, or your gardening tools and implements. These stand-up style garden beds can offer even more ability to keep your soil well drained and will reduce the chances of your roots becoming waterlogged. 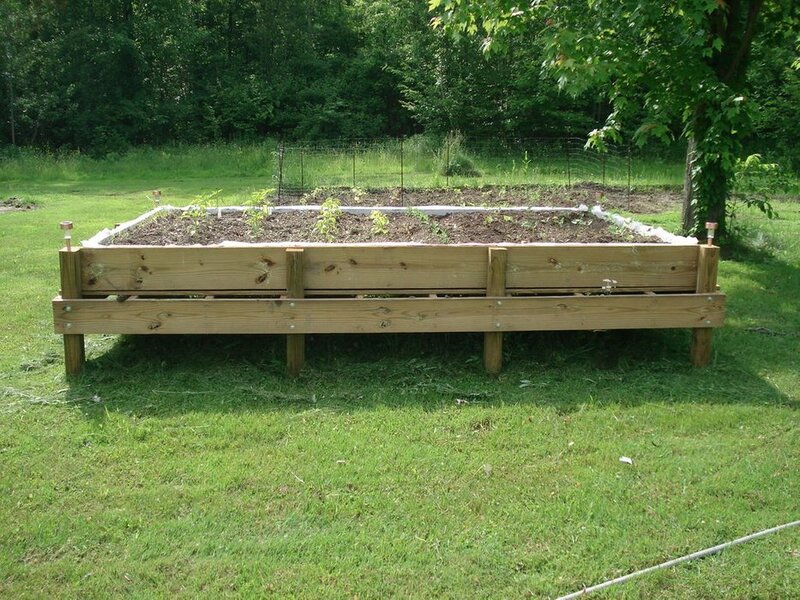 Putting legs on your garden bed can also help to protect your produce from animals. According to Country Living, raised garden beds are one of the top ways to keep critters out of your garden, but if you’re finding that they are getting into your plants no matter what, you’ll want to explore raising the bed even further. Not only will you protect your plants from wild animals, but it will also help to keep your dog or chickens away from your vegetables. While you can grow just about any small plant you desire in your new raised garden bed, most people opt to grow edible herbs and vegetables. As vegetables have specific soil requirements, they can be more difficult to grow in established in-ground beds. 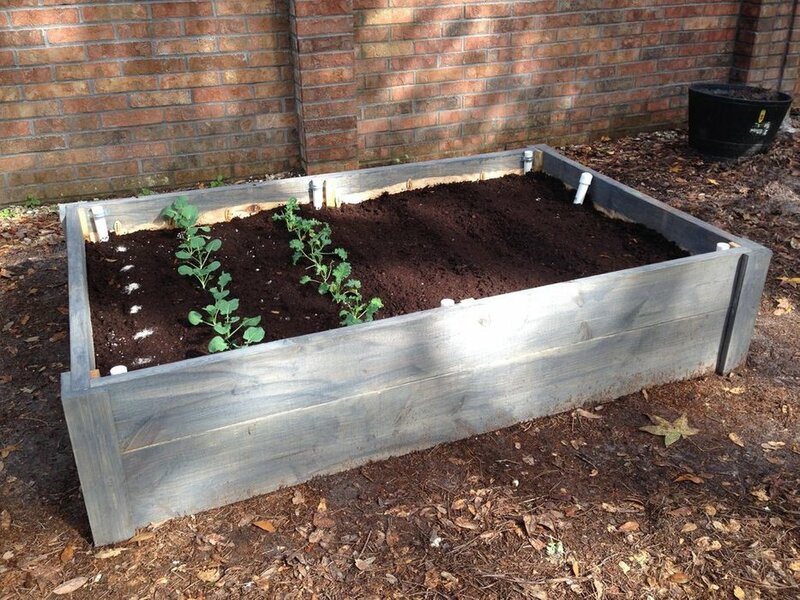 By using a raised garden bed to grow your own food, you will be able to control every aspect of your new garden, being able to provide the proper soil and correct nutrients for your vegetables. If you’re scratching your head when thinking about what vegetables to grow in your new raised bed, Bluprint can offer you some inspiration. They suggest that the best vegetables to grow in your new garden are root vegetables, leafy green vegetables, onions, tomatoes and potatoes. Once you begin to successfully produce your own food, you’ll realize that no vegetable is out of reach. 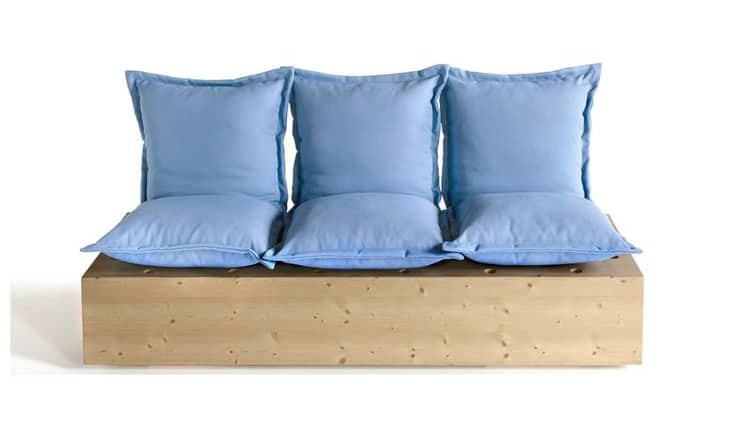 While the decision in what material to use for your new garden bed is completely up to you, wood construction beds are one of the better choices. Not only are they great to look at, giving your yard a rustic and natural feel, but, as reported by the Binational Softwood Lumber Council, you are encouraging the idea of sustainability by using a natural product. It is essential that you choose an untreated wood, especially if you’re building your garden bed in order to grow edible plants as toxins from the treatments can seep into the soil and, in turn, your plants. 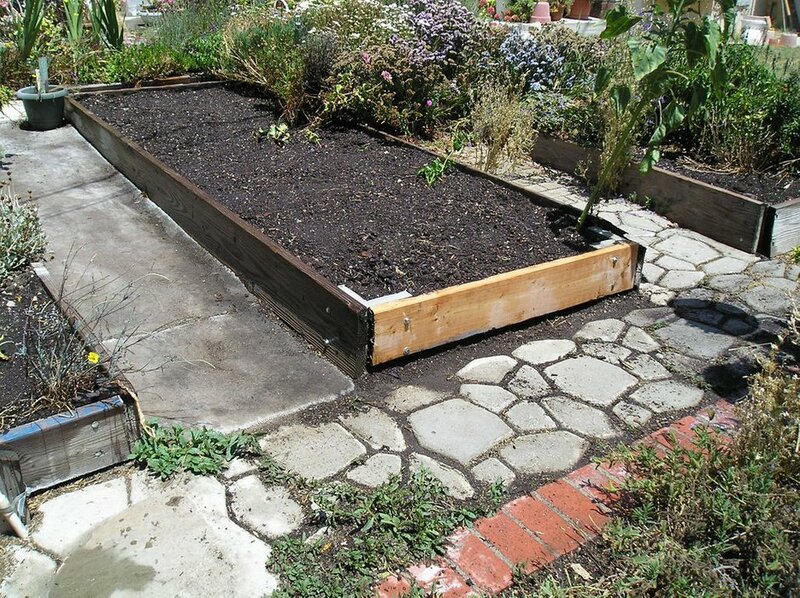 One popular construction option for raised garden beds is to utilize wooden pallets. 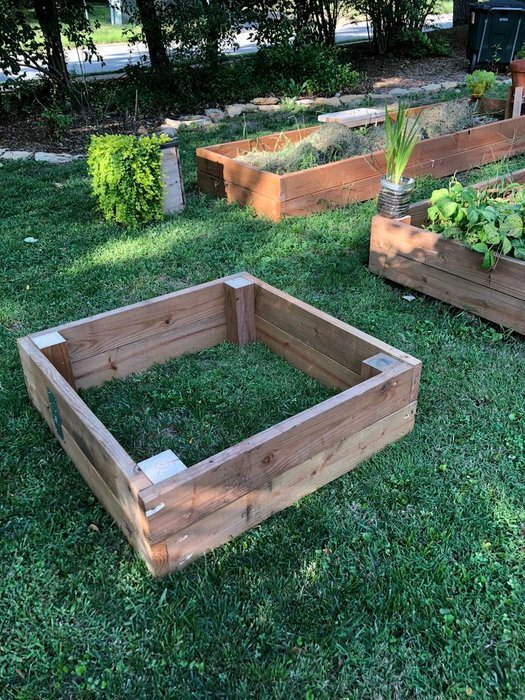 Not only is this a great cost effective way to build your garden bed, but it allows you to recycle old wooden pallets that may have otherwise ended up in landfill. 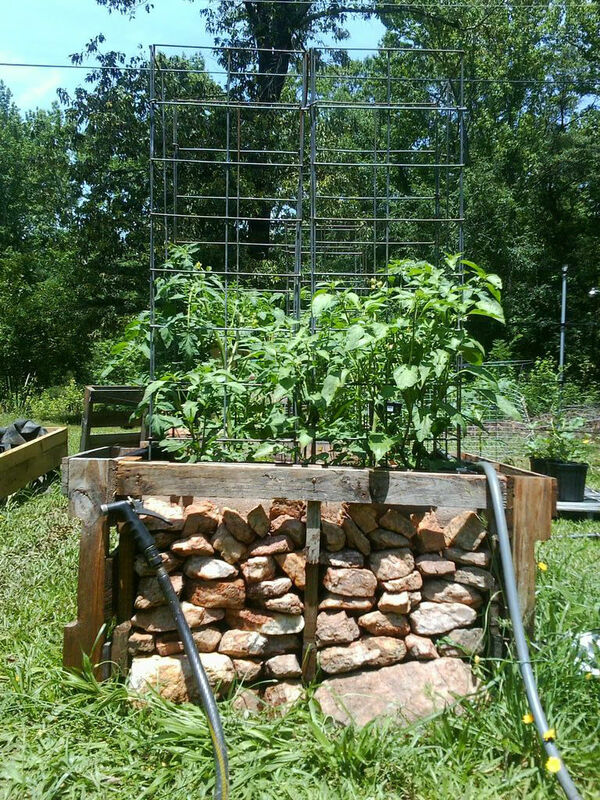 Not only are you doing something good for your self-sustaining household, but by using pallets, but you’ll also be doing something extra for the environment. 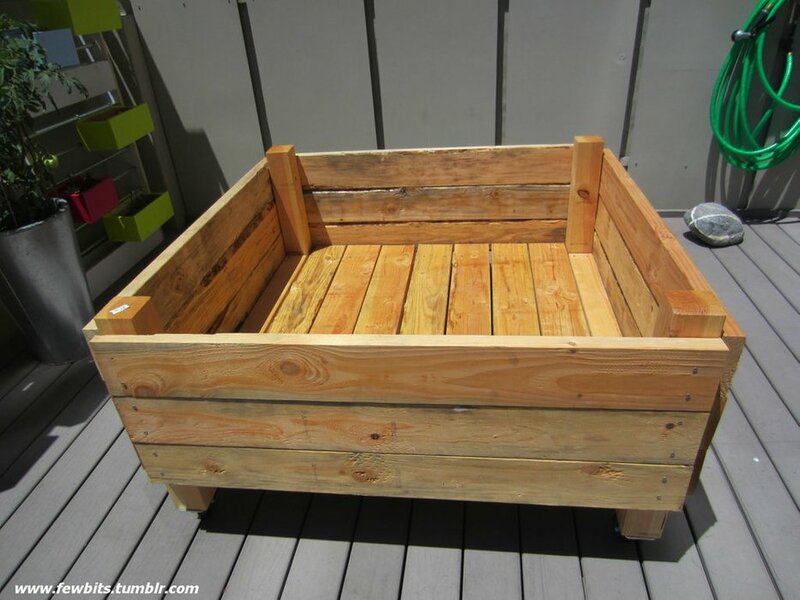 Pallets are easy to find – in fact, you only need to visit your local hardware store to find a wealth of pallets to recycle that may otherwise be thrown in the garbage. The seasons will play an important part in the success of your raised garden bed, no matter what region and climate you live in. Garden beds in warmer climates will require adequate hydration in order to keep your plants happy, but living in colder climates can come with many additional considerations. 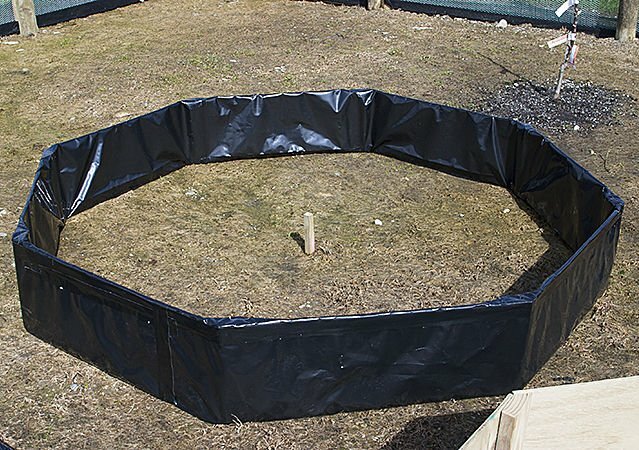 You may want to invest in a cover that can extend your growing season so that you can reap the benefits of your garden all year round. The Statesman Journal offers a thorough explanation on how your garden bed can benefit from a cover. By covering the garden bed, you will be helping to raise the temperature of the soil as well as the humidity within the bed through a greenhouse effect. This is absolutely essential in growing particular foods, such as tomatoes or squash, due to their specific temperature requirements they need to grow.